There are a lot of things we can do to improve our mood and work on our overall well-being, such as exercising and eating right, but one approach we love is aromatherapy. According to the National Association for Holistic Aromatherapy, aromatherapy can be defined as using “naturally extracted aromatic essences from plants to balance, harmonize and promote the health of body, mind and spirit” – you may have also heard some people refer to this process as essential oil therapy. Sage. Sage plants can help with a number of things, including: they can improve alertness, act as an antioxidant and an anti-inflammatory, help better manage asthma and even assist with coping with depression! Ginger. A main benefit that ginger offers when used during aromatherapy is its ability to treat emotions. Additionally, though, ginger is also said to be helpful when it comes to improving communication skills and enhancing memory. Cinnamon. With its sweet, yet potentially spicy smell, cinnamon is said to help improve mood, reduce drowsiness, and help ease pain. One study also showed that being in the presence of cinnamon’s scent can help with concentration and performance. Jasmine. Jasmine flowers are known to open up at night, so that would be the best time to experience their therapeutic effects. Specifically, jasmine’s scent is said to be able to improve alertness and one’s mood, and it can also be used to help purify the air. Lemon. If you’re feeling stressed, you’ll want to turn to lemon plants during an aromatherapy session. These are said to have the ability to transport you to a happier, more positive place, and as an added bonus, you might even find that cognitive functioning is improved too. Lavender. Lavender has proven to be helpful for sleep and anxiety. Ultimately a lavender plant’s fragrance is said to have very calming calming effects, but if getting some shut eye in particular is difficult, having lavender plants in your bedroom may be something to think about. Coriander. In addition to the physical benefits of rejuvenating our skin, soothing muscle and joint paint, as well as helping with an upset stomach, coriander also offers the emotional benefit of being able to let go and find peace. Basil. Like lemon, basil is also said to contain compounds that can reduce stress, which could also help with blood pressure and heart rate. Additionally, when used for aromatherapy basil has the potential to improve mood, relieve pain from muscle aches, help with depression and anxiety, and increase alertness. Fennel. The aroma produced by fennel essential oils is sweet and is sometimes described as having a smell similar to licorice. Some of the benefits offered here are the ability to cope with anxiety, improved focus and concentration, and relief from respiratory issues! Clove. Clove produces a pretty powerful scent that is sweet, yet spicy, and hot. 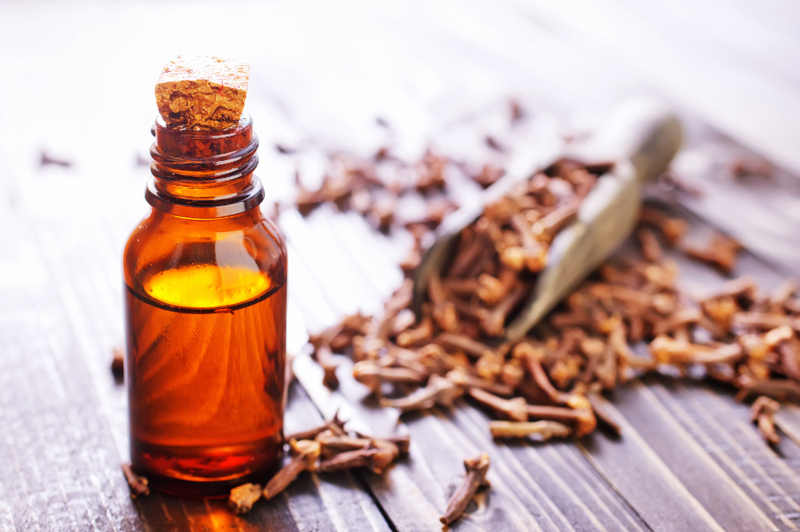 Along with being able to help with toothaches, respiratory issues such as colds, and the flu, clove is also effective when you’re feeling nauseous, have a headache, or need an energy boost. Eucalyptus. Eucalyptus can help your home and your garden as its scent is known to be great for repelling insects, but let’s not forget that it can also help you – specifically, it can help relieve you of congestion. Calendula. Calendula just might be the go-to plant for medical healing. Why? Some of its benefits include treating mosquito/insect bites (it’s super soothing! ), and it can also help with muscle spasms, fevers, and symptoms such as a sore throat. Sources suggest that it’s also effective for treating wounds and reducing swelling! No matter what you’re dealing with, whether it’s stress, anxiety, an illness, or if you just need a bit of a pick me-up, aromatherapy plants can be your saving grace!